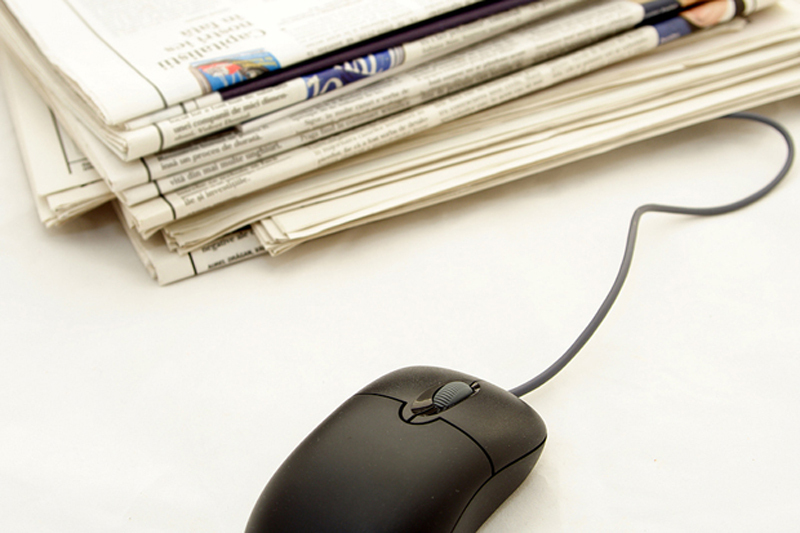 Online journalists understand media owners’ reluctance to invest. Why do more when the online business is already very profitable? In this article I share with you insights from a spontaneous meet-up, prompted by a colleague’s social media post of my previous article on Search Engine Optimization (SEO) practices of news sites. Perhaps no news outlet today fails to participate in the technological horse race, but few seem serious. This topic definitely deserved more probing especially as newsroom constraints or opportunities often remain out of public view. A little more than half a dozen journalists, who included leaders of major online platforms and journalists on the digital frontlines, agreed to meet and volunteer their ideas and experiences over minty cold-brew coffee and pizza. Not to complicate the subject matter, I urged participants to focus on three simple themes: the concept of digital journalism, trends in Nepal’s context, and ways to improve the practice of digital journalism. I steered clear of trying to influence their discussion and was all ears, with a sociological sensibility. Perhaps reflecting the journalistic tendency to avoid any conceptual stretching, the journalists were reluctant to dwell on the semantics of digital journalism. “Most understand it simply as a practice of putting content online,” said Khim Ghale. Reporters are happy to see their byline in print and most often shovel those same articles onto the web. A website is not the priority for digital journalism any more, but social media is. That was the view of Rajneesh Bhandari: all content is customized to suit a particular platform, such as Facebook, Instagram or Snapchat. For example, AJ+ does that, targeting at least 1 million hits for a single story. Participants were exuberant in their comments and observations on the many issues impeding or aiding digital journalism in Nepal. First, content figured most prominently in the discussion. Print was still seen as having most scope, propped by growing literacy and the middle-class. In fact, major publishing houses prioritized their flagship print products. Exclusive, unique online content was still rare. “Online sites are clones of each other”, commented Sahina Shrestha. Journalism is not just the text, observed Keshav Koirala, websites could at least try using Google Maps or spreadsheets in some stories, but they don’t. The old school prevails. Ghale noted, however, that the conventional notion of story quality is threatened by the habits of online users. A good story online does not attract that many visitors but a fluff does. Thus timing and placement of a story are important, he observed. Major online platforms publish as many as 100 stories a day, and half of them are shoveled from the print edition and the rest are online exclusives. Since the same news product often comes in four different platforms (print, website, e-paper, and application), much of what we get is redundant journalism. The key question, according to Guna Raj Luitel, is how news content ignites readership and what the actual impact is. Although some outlets have begun to experiment with graphics and videos, digitally rich, immersive content is still rare in news platforms. It takes major events like elections for our news sites to undertake data journalism projects. Second, problems and opportunities associated with the use of new media technologies was another dominant theme of journalists’ discussion. Almost all the estimated 500 or so news websites overwhelm us with textual journalism. Major print outlets that do have online platforms still insist on holding content for their print publication, thus undermining digital journalism. “There is the pressure to sustain multiple platforms”, commented Luitel, “but holding content only renders it stale”. Regardless of the print priority, and propelled by social media and applications, some changes in the presentation and delivery of news online are more pronounced than ever. Only a few years back, outlets preferred uploading videos on their own sites to putting them on YouTube. Many sites simply declined offer of aggregation by Hamro Patro when it launched. Today, this popular application accounts for half the visitors of some news sites. The key issue is adapting to user habits. Less than one-third of traffic in major news sites is organic and 70 percent visitors are from social media networks. But despite the pressure for greater reach, many outlets still lack social media or mobile focus, partly because of the added burden of content customization and problems related to compatibility with mobile devices. However, online-only outlets enjoy the freedom to experiment and some are doing pretty well. Third, participants often lamented that digital journalists are underpaid, and most owners are not investing enough on content development or experimentation or on human resources despite the fact that they are earning decent revenues from their online outlets, mainly through YouTube, Instant Articles, and AdSense ad programs. At least large corporate houses are making good money. For instance, a leading corporate media house in Kathmandu made Rs 4 million in a year for a single stripe of ad run. Journalists think that the owners’ reluctance to invest is understandable. Why do more when the business is already yielding good returns? Investment so far is limited to infrastructure such as internal servers. Participants doubt there will be separate, significant allocation of resources so long as print continues to dominate, or the desire persists to add a costly television or radio station to the publisher’s portfolio. Journalists stress on the need for good planning and management, and visionary leadership. Fourth, professional skills, resources and working conditions were discussed nearly as often as business aspects. The need for training, special skills, editorial oversight and mentoring was stressed but individual passion and initiative was seen as the most significant attribute. One editor noted that journalists hardly pitched their own stories and relied on spoon-feeding by editors. Even those with special skills did not display the energy to undertake digital projects, he observed. In-house training on multimedia and data visualization is rare, partly because newsrooms fear underutilization of skills, or human resource flight. “We take for granted that everyone has a smartphone, and can use it for videos, but that is not true”, observed an editor. Shortage of skilled digital journalists means a market for some young, enterprising hands. For instance, Rabi Raj Baral says he receives many job offers from news sites although in his own self-estimate he is nowhere close to becoming full-fledged digital. Digital journalists are paid more regularly than their print colleagues simply because the owners or editors rely solely on these tech-savvy professionals to update the news sites. Still they earn only 20,000 to 30,000 rupees. In order to make their living, many double or even triple as teachers, researchers and editors. They are also burdened by the need to acquire and maintain expensive equipment and gears, and some are oppressed by endless bureaucratic hurdles on official approvals, such as on using a drone. Finally, audience, overall cultural impact and innovations were scantly mentioned. Participants found it hard to identify a single, defining piece of quality digital journalism, apart from text, that has engaged Nepali audiences. In terms of actual craft, the “Snowfall” moment, typified by a multimedia story of the same title in the New York Times, hasn’t arrived here yet. Even trained journalists get little opportunity to practice their craft, or to experiment with new ideas. Nonetheless, the public has wide informational choices today. As Luitel noted, digital journalism has made democratization of media possible. Anyone can operate a digital platform with little investment. Without it, the media space would remain shrunk, and dominated by corporate media. Many of the issues participants discussed and critiqued implied the need for improvements in content development, technology use, business management, professionalism, audience engagement and innovation. Above all, journalists seemed more inclined to stress the essence of journalism such as accuracy and verification or personal passion and initiative. Sociological descriptions speak for themselves. They help to examine our assumptions and experiences. Clearly, the boundless capacity of digital journalism has barely been scratched in Nepal and next time I am hoping to hear more about its potential for profound impact on informational speed, immediacy, interactivity and universal reach.